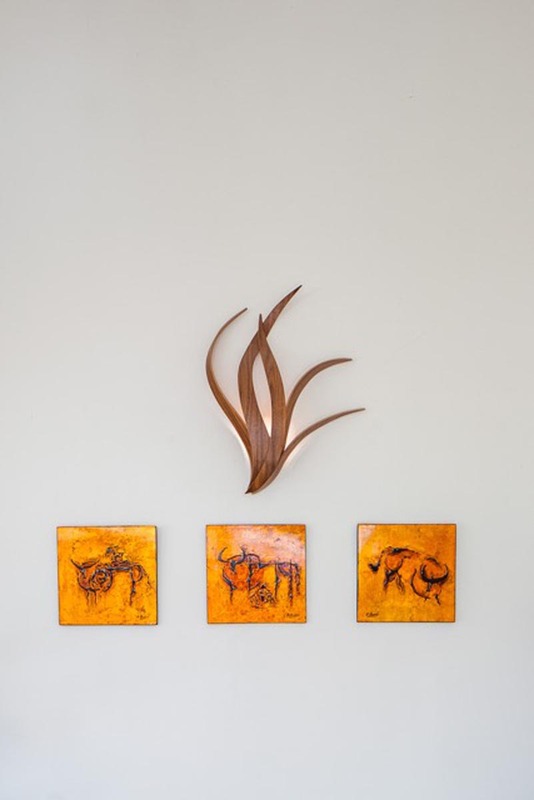 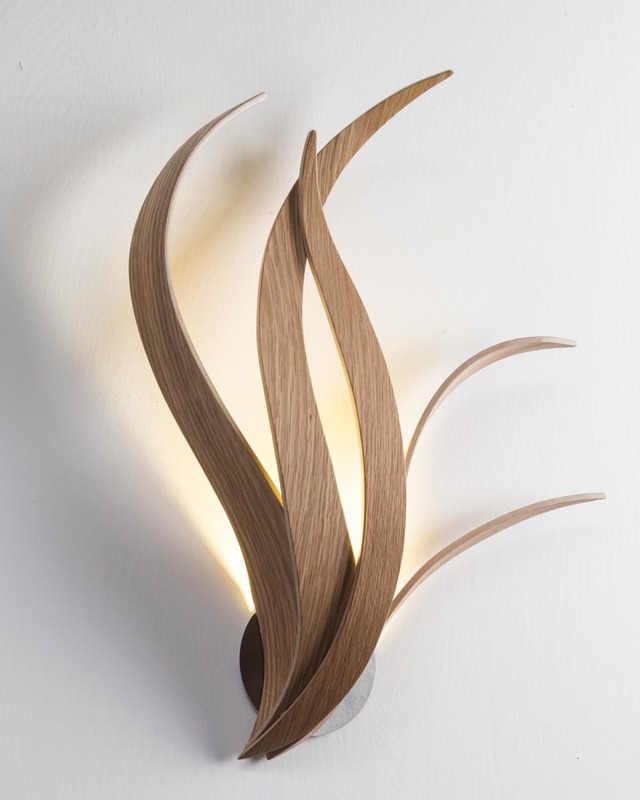 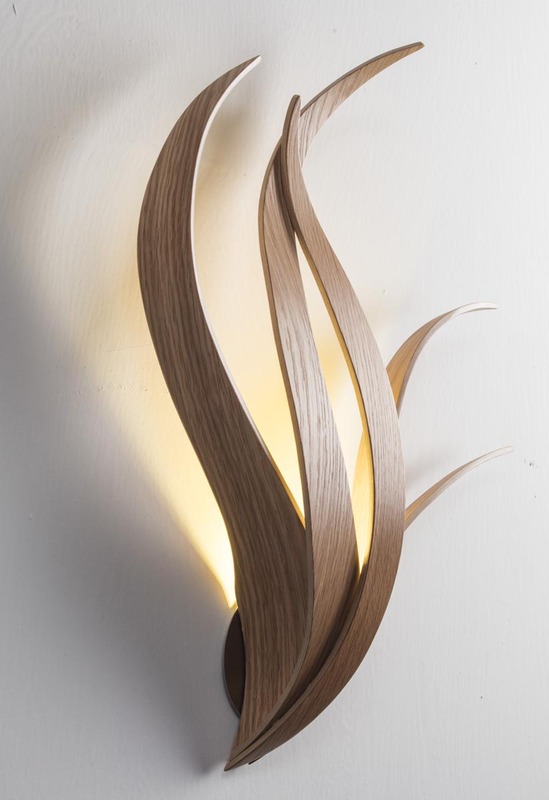 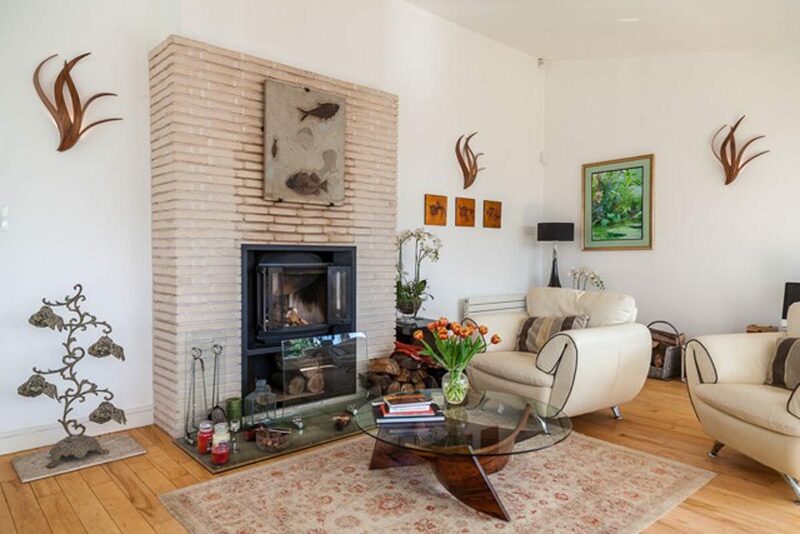 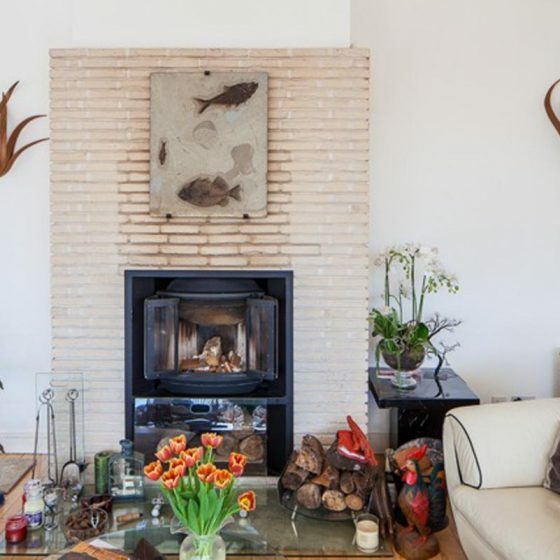 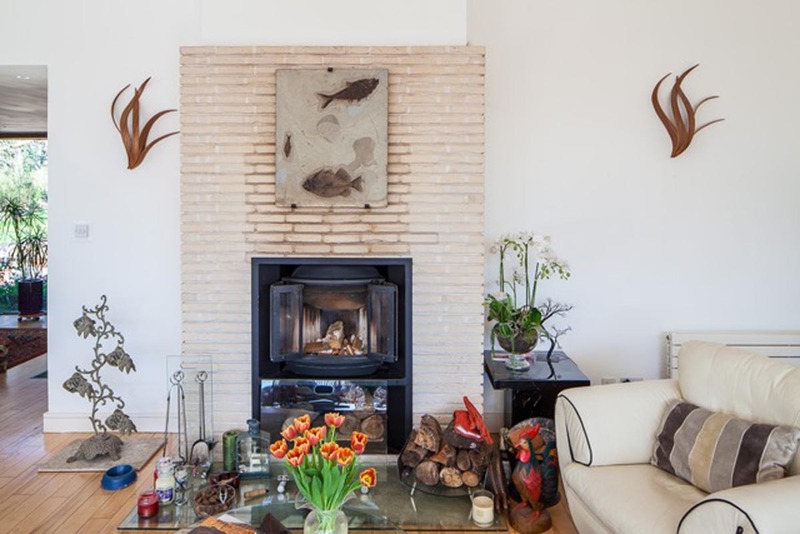 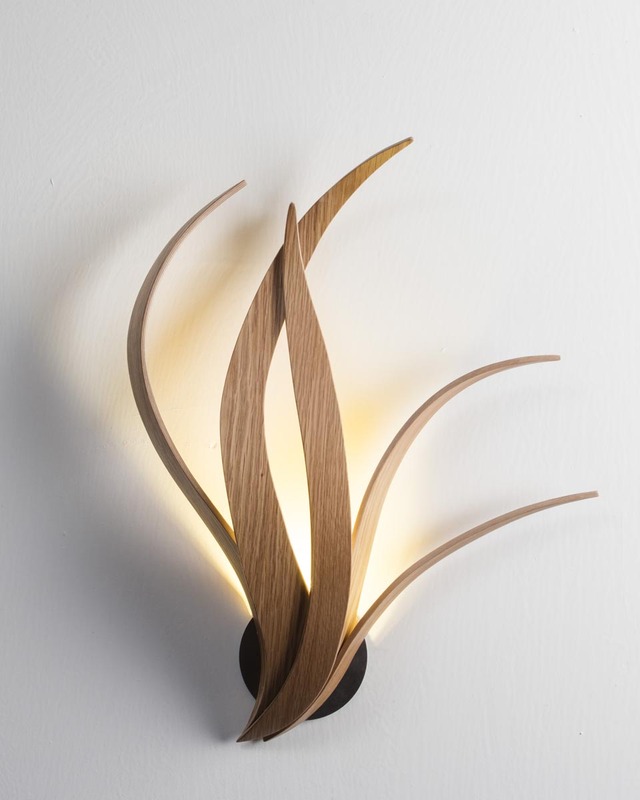 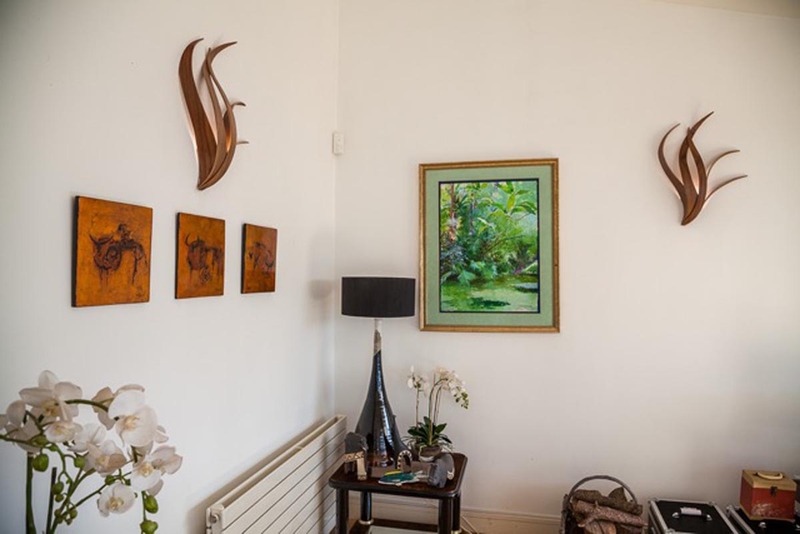 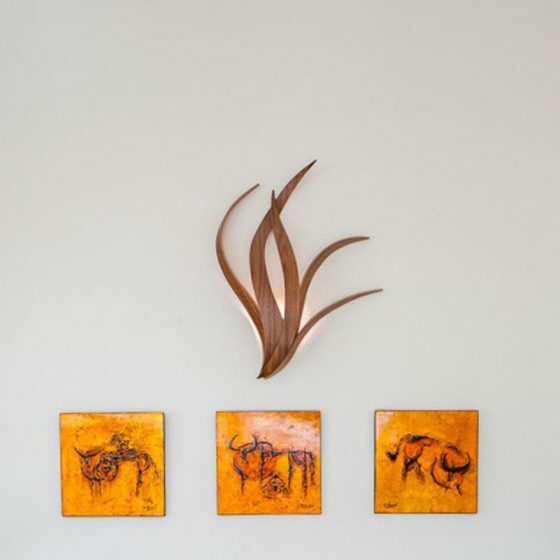 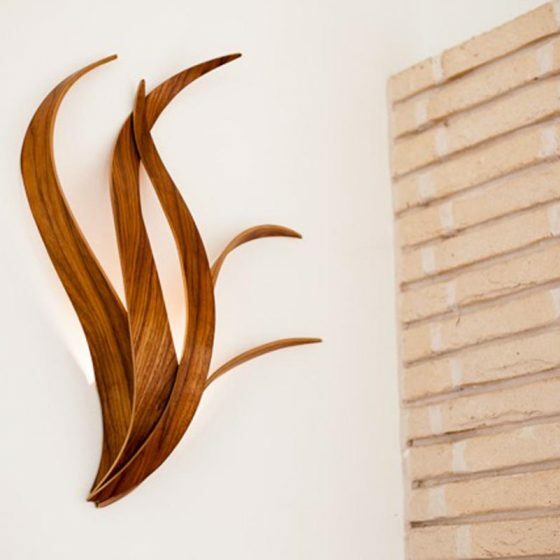 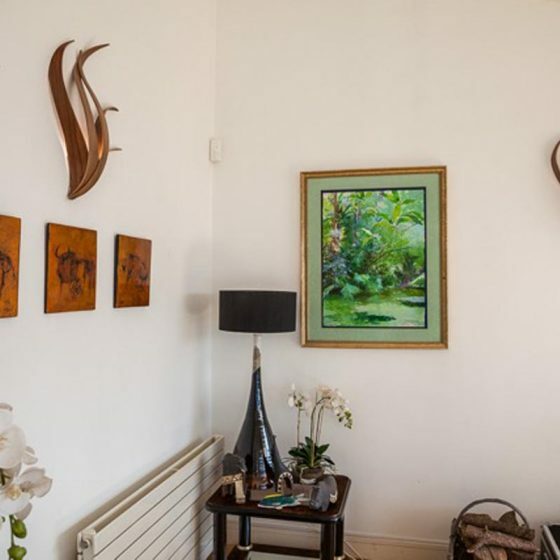 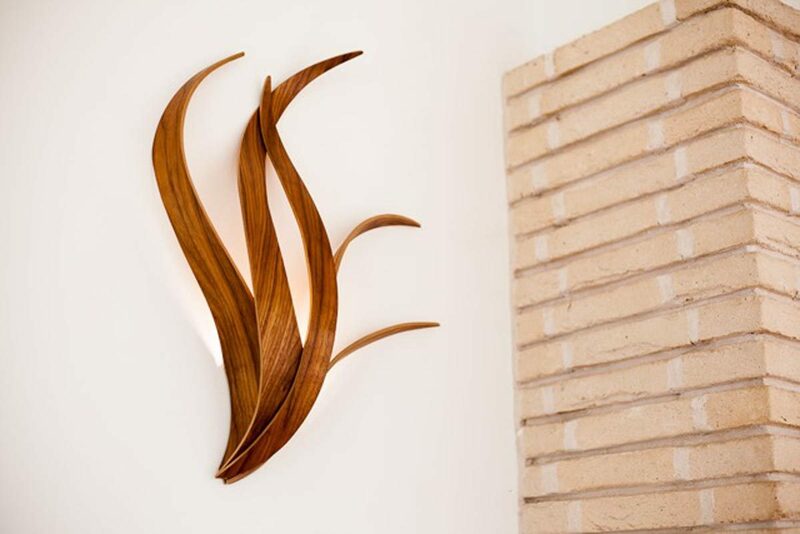 The Iris Wall light is a nature inspired piece ideal for a wall space that demands either art, sculpture or lighting. 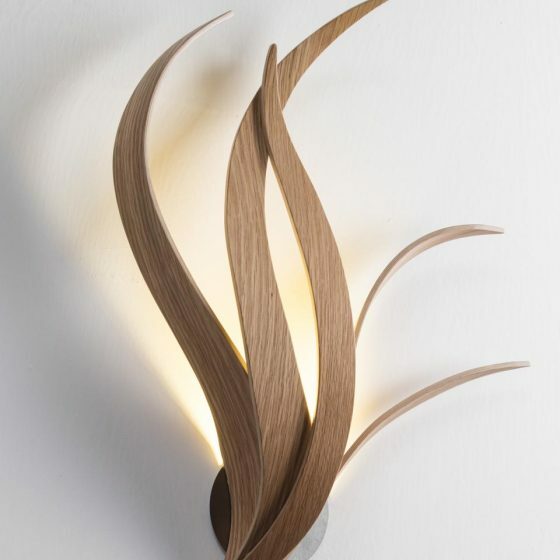 The Iris Wall light is a stunning nature inspired piece ideal for a wall space that demands either art, sculpture or lighting. 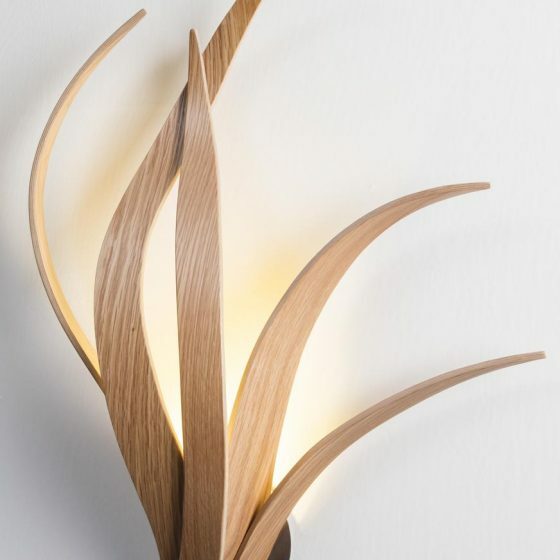 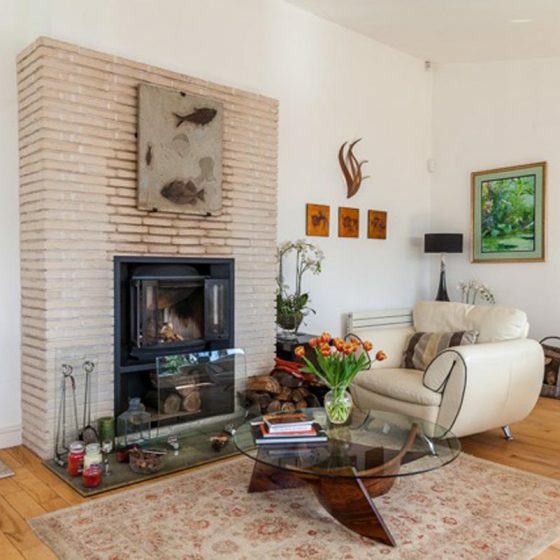 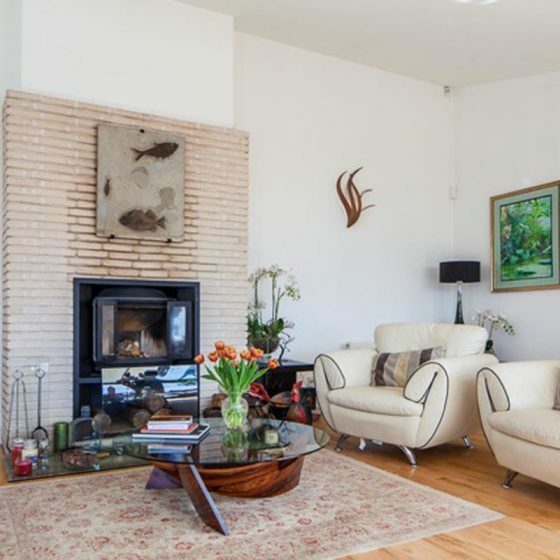 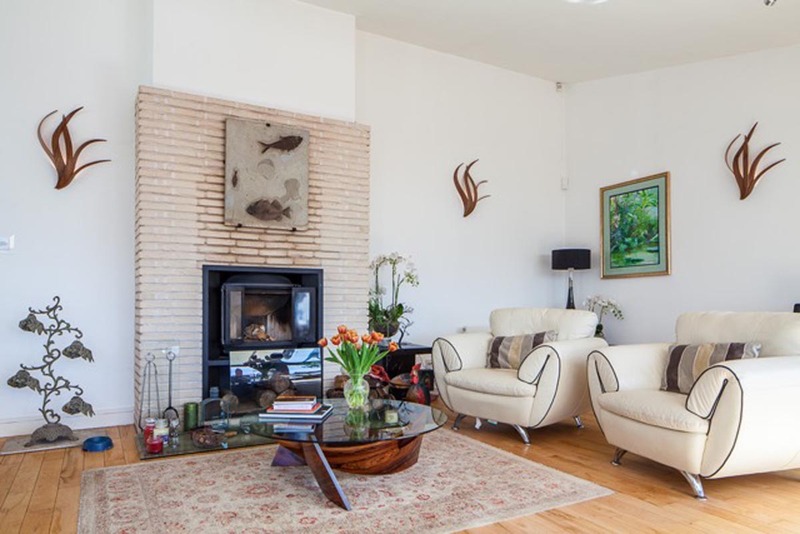 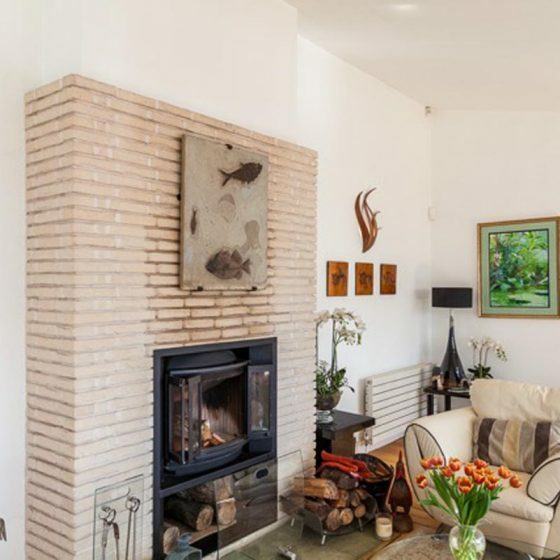 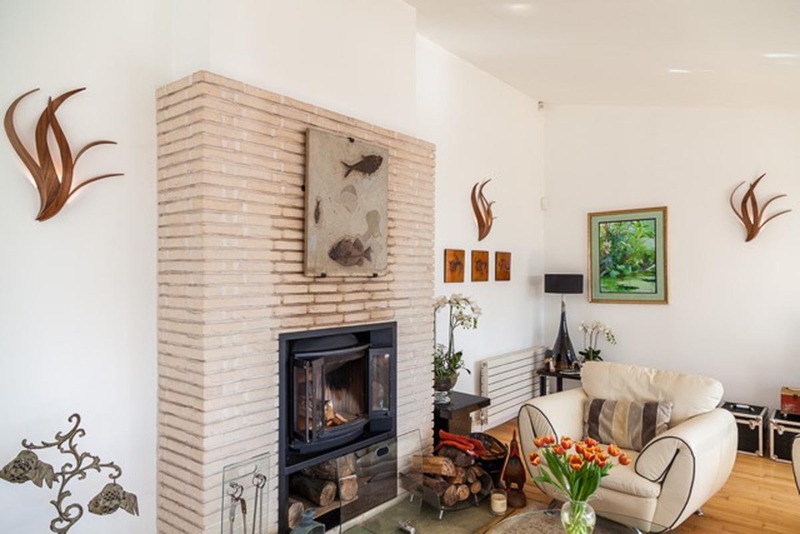 It is designed to completely conceal the bulb yet emitting a lovely ambient glow that adds warmth and glamour to a room. 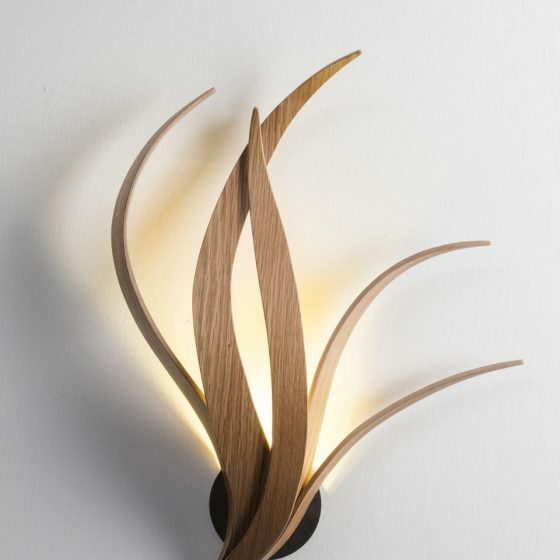 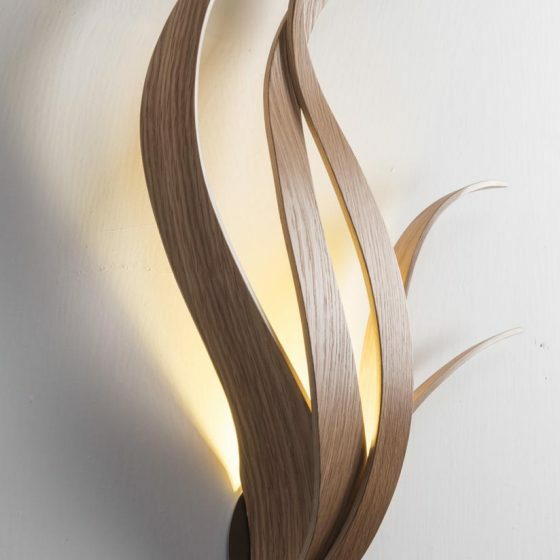 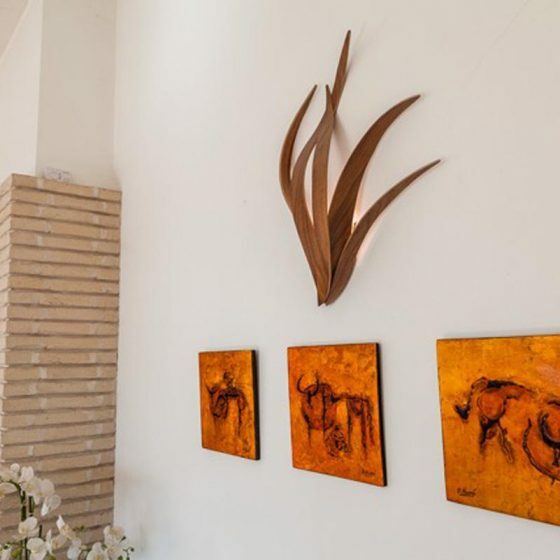 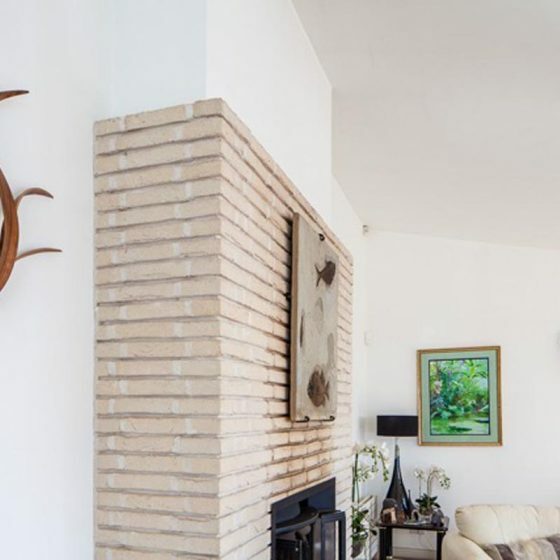 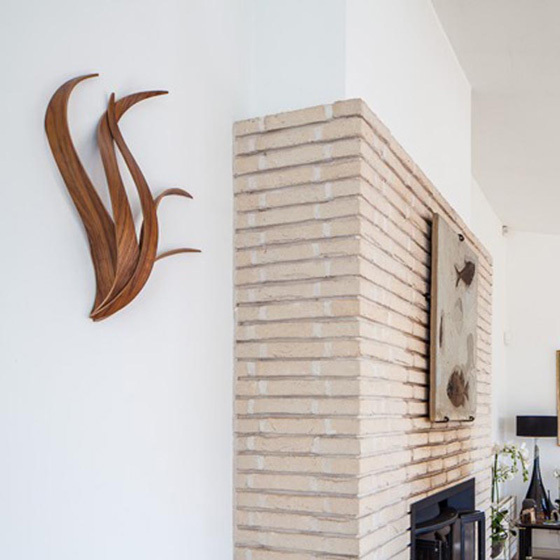 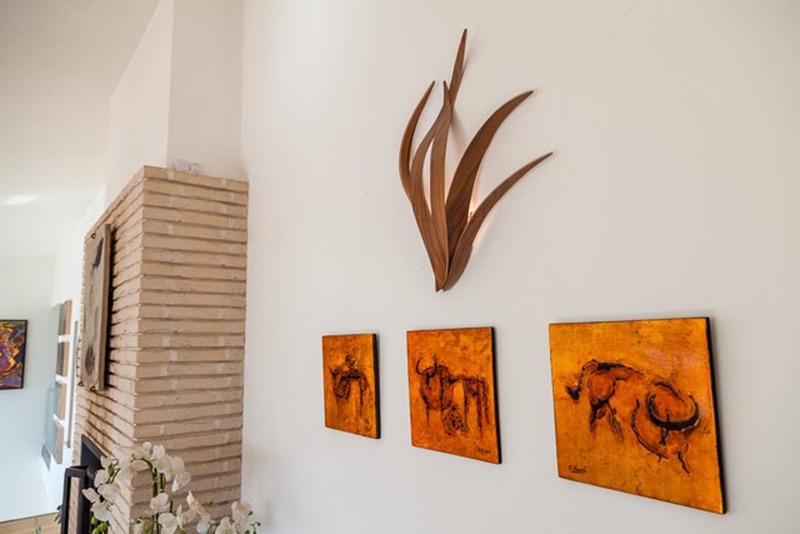 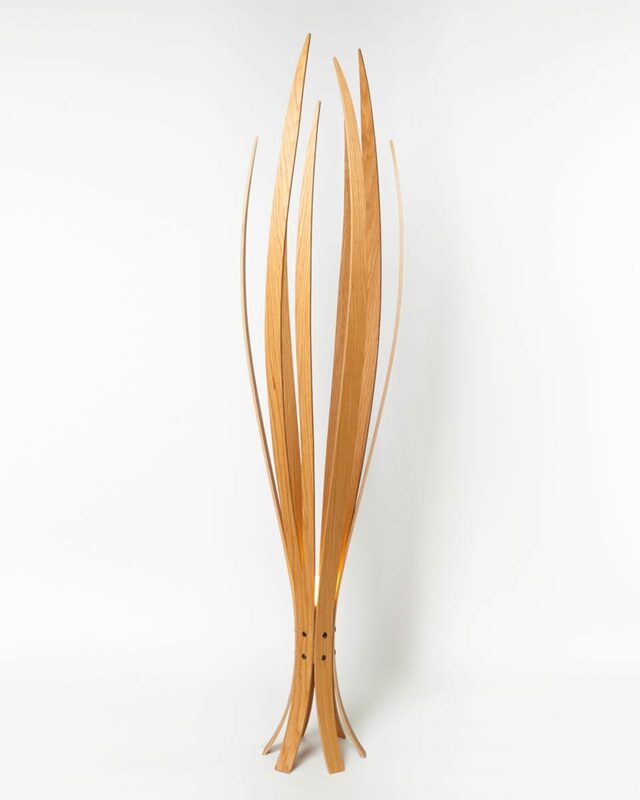 This handmade sculptural wooden wall light has a unique aesthetic that compliments both a contemporary as well as a tradition interior space. 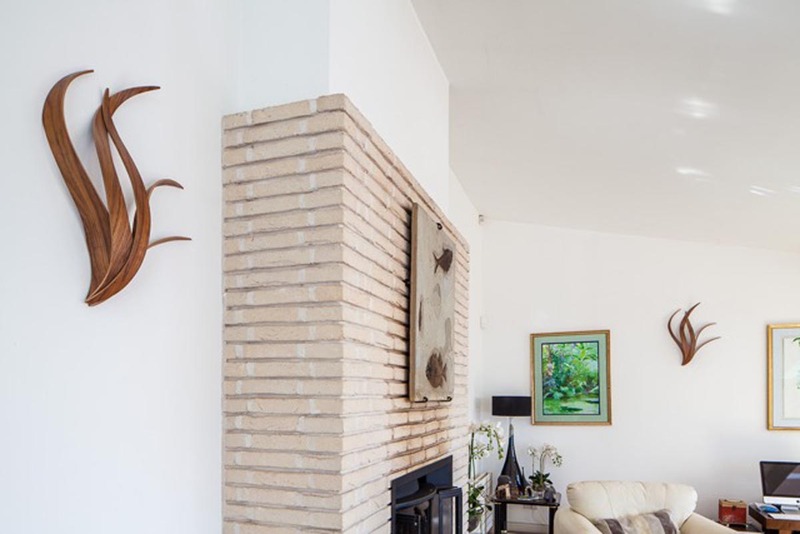 The stainless steel mounting bracket adds a pleasing contrast in material and symmetry. 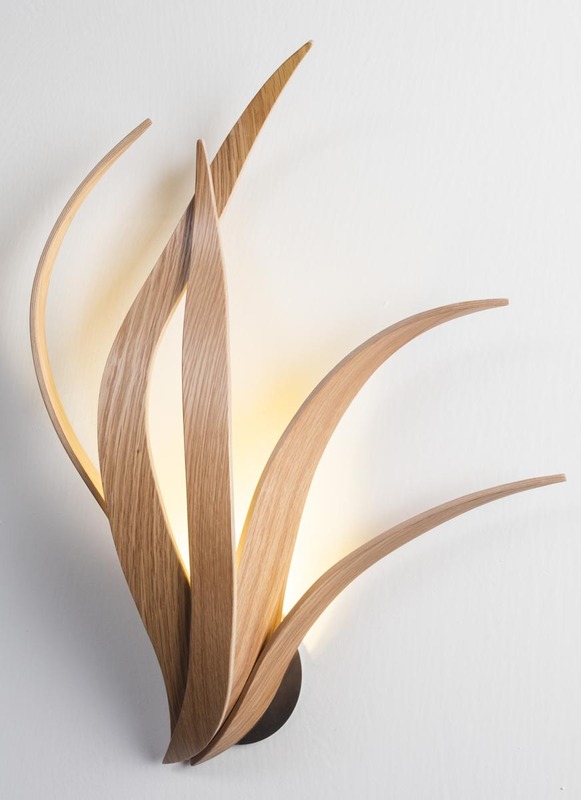 The Iris wall light has stand- alone appeal or works well in a group.